This is a catalog of an exhibition of the same name at the Cary Collection. 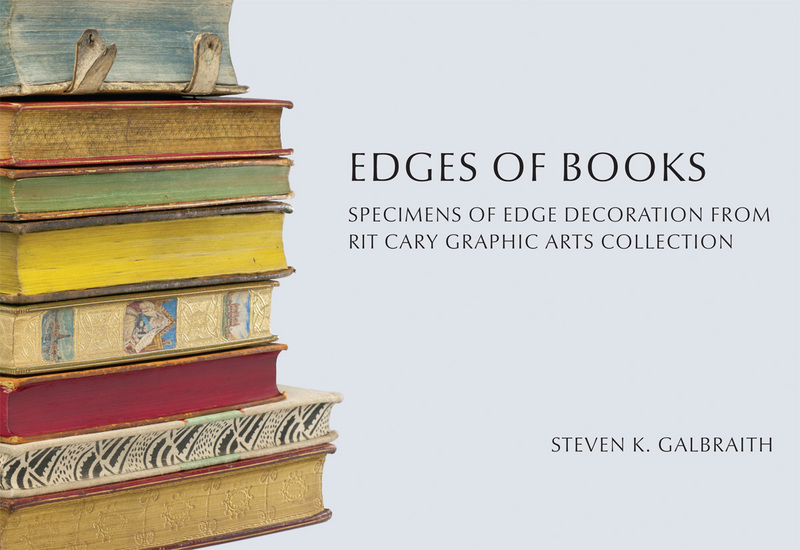 Steven K. Galbraith is Curator of the Melbert B. Cary, Jr. Graphic Arts Collection. He has a Ph.D. in English Literature from Ohio State University and an M.L.S. from the University at Buffalo. Prior to coming to RIT, he was the Andrew W. Mellon Curator of Books at the Folger Shakespeare Library in Washington, D.C. and the Curator of Early Modern Books and Manuscripts at the Ohio State University. He is the author of works on early English printing, English Renaissance literature, rare book librarianship, and book conservation and digitization.